Kinya is a Principal based in the Tokyo office and a member of the “Strategy & Organization” and “TIME” Practices. His main areas of expertise cover business due diligence, as well as and business planning and implementation support, in turnaround, mergers and investment transactions, in a wide variety of industries. This is especially in high-tech industries such as Automotive, Chemicals, Consumer Goods & Retail, Industrial Goods & Services, Healthcare, Telecommunications, Electronics, and Utilities & Alternative Energy. 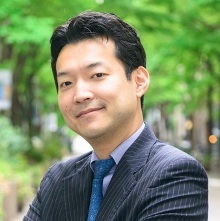 Prior to joining Arthur D. Little, Kinya worked for seven years in the largest telecom company in Japan, and for seven years in a US-based strategy consulting firm and a financial advisory firm. While continuing to develop his expertise in this area at Arthur D. Little, Kinya is always eager to learn about new ones. Kinya is a US CPA and Registered Management Consultant in Japan, and holds a bachelor of Literature (Social Psychology Major) and a certificate from the Institute of Socio-Information and Communication Studies (Education Sector) from the University of Tokyo. Kinya is happily married, has three active sons, and pursuing how to balance work and life in order to improve the quality of both. Kinya is usually playing tennis with his wife on weekends.